LeapFrog have taken the guess work out of your Christmas shopping, with some truly clever toys that will keep small people engaged and entertained. You can give your toddler and pre-schooler more than just fun with LeapFrog. Enjoy hosting tea time for two! The LeapFrog Musical Rainbow Tea Party with musical teapot, cake stand, five pieces of cake and two cups are perfect for pretend play. Music and Tea Party modes provide a fun range of activities that introduce colours, shapes, numbers and sharing. ‘Tea’ lights up inside the pot, tilts when poured and disappears when empty. Press the heart button to brew more tea. Lift the lid to change tea flavours and learn each colour. Nine songs, 10 sound effects and more than 70 phrases allow for a rich musical and imaginative experience. Musical Rainbow Tea Party teaches important preschool skills in a role play environment. For toddlers aged 1-3 years, Musical Rainbow Tea Party is available from Big W, good toy stores and online retailers. 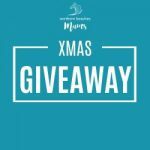 Terms and conditions: The winner/s will be chosen by Northern Beaches Mums, Friday 7th of December at 11am and contacted by email. If the winners cannot be contacted within 3 days another winner/s will be chosen.